The pleasant neighborhoods of the Crescenta Valley offer no hint of the many violent and heinous crimes that have occurred between the San Gabriel and Verdugo Mountains. But ties to such macabre episodes as the Onion Field murder and the search for the Hillside Strangler left lasting scars here. Infamous criminals such as mafia boss Joe "Iron Man" Ardizzone, red-light bandit Caryl Chessman and accused yacht bomber Beulah Overell have left a black eye on La Cresecenta's history--not to mention the "Rattlesnake Murder," "Female Bluebeard" and "Santa Claus Killer." 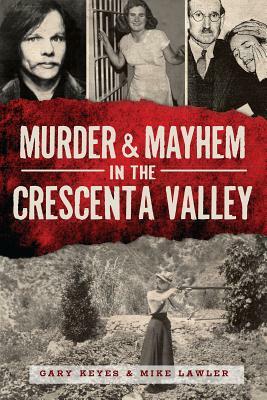 Join historians Gary Keyes and Mike Lawler as they expose the crimes and criminals that have inflicted murder and mayhem in Glendale, La Crescenta, Montrose and La Canada Flintridge.